The benefits of prototyping, even the smallest of designs. On the left is the small form factor design, primarily aimed at the picoPSU ATX power supply. On the right is the multi-purpose ATX adaptor (formerly Big Box), aimed at higher power systems and those that require additional features, notably -5V supply, 50/60Hz mains tick and AC fail status. Some of my regular customers will notice a move away from the Amiga specific titles. The reason is simple, these adaptors will work with multiple retro systems, a name change can help generate more sales and of course happy customers. This has in part been driven by feedback from customers, asking if these adaptors work with other systems, the answer is yes. If you have a vintage retro system, with a 1980’s power supply, you may be at higher risk of power supply failure due to aging effects due to heat and dried up electrolytic capacitors. Replacing your old power supply can provide some peace of mind. I will provide details on wiring up these adaptors for various Retro systems, including the BBC Micro, Apple II and Sam Coupe among others on my website in due course. It is not viable for me to supply power adaptors for systems that require a 9V DC supply, like the Oric Atmos or Sinclair Spectrum, as you can easily purchase modern switchmode converters. For low power systems, I recommend a genuine picoPSU adaptor, manufactured by Mini box. Unlike most high power ATX adaptors, these converters have no minimum load requirement and are silent. A typical 230W+ power supply will have a minimum load rating, to ensure the outputs are stable so to use a regular 230W+ power supply with a retro system, using 25W, you need load resistors, sometimes dissipating upto 25W of power! The prototype PCBs were ordered from a local company, Ragworm, hence the orange silk screen. The build quality was very good and it took me just over an hour to assemble the boards. As the aim was to get these PCBs assembled by a contract manufacturer, the existing designs needed a few refinements. All components are now on one side of the PCB, this reduces the number of process to 2 (SMT load top side and hand solder) from 3 (+SMT bottom side). This saves on the recurring costs. The control electronics have been simplified, reducing the part count. All control is now via a Microchip PIC10F202 micro-controller in a tiny 6 pin SOT023 package (3mm x 3mm), programmed on card via an ICD 3 programmer. This allowed for easy configuration for momentary or latched power switches and improved de-bounce compared to the previous design. It also provides a 50/60Hz square wave output, useful for some Amiga models that require a mains ‘tick’ signal. Finally the design also switches on/off the supply. 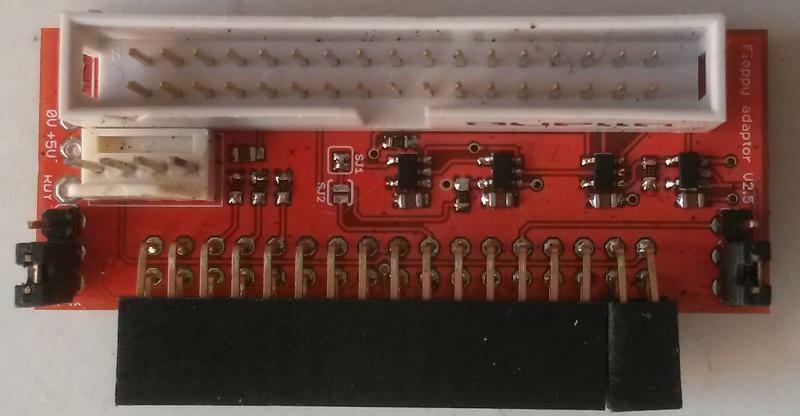 On both boards, I have added extra, larger, pads for connecting your own power wiring in addition to a 2 pin header. On the multi-purpose adaptor, the number of +5V and 0V connections have increased from 2 to 4, making it easier to connect to a high power, 100W+, system (mainly Amiga 2000/3000/4000). Simple changes that were easy to implement. What did I learn from these prototypes? For the Multi-purpose adaptor, the text describing each power rail, by the screw terminals, should be rotated 180 degrees, making it easier to read when wiring up. 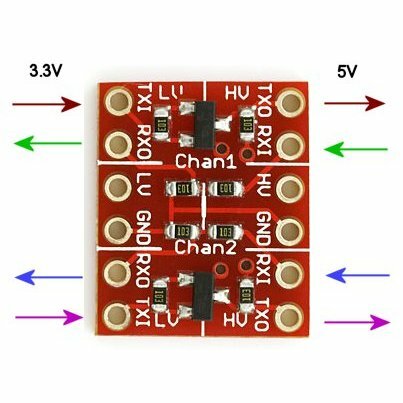 The linear -5V regulator needs more copper area to act as a heatsink. Order your programming cables long in advance! To program the PIC micro and save on recurring costs, I decided to use a Tag Connect, TC2030-MCP-NL programming cable, this only requires a tiny PCB land pattern on the PCB. It may not seem much, adding a 20p, 1.25mm connector to each PCB but on a batch of 200 PCBs, it certainly adds up. The annoying part is getting hold of the cables. I currently have a cable on back order from Farnell, expected delivery date is 10th August! Finding stock in the UK has been tricky. This board showed the benefits of prototyping. You may notice the orientation of the drive connector is odd? I designed this board to have a reduced form-factor to easily fit behind the floppy drive, adjacent to the drive, this did not work. The problem was that some drives, like the Mitsumi drives in my collection, have the +5V power connector above the 34 way IDC connector. So with the PCB plugged in, you can not connect the power, oops. This new PCB is 60x24mm, the previous (V2.1) PCB was 53x40mm. The ideas was to make it smaller to fit more easily inside the Amiga and to allow easy assembly into a case to act as an external DF1 floppy drive, either with a real floppy drive or with a HxC or USB (Gotek) virtual drive. Moving the design to Little Logic and 0603 surface mount components allowed me to make the PCB much smaller. As well as the mechanical error with the power connector, it also highlighted a limitation of the Design Rule Checks (DRC) that I run on the PCB data. One of the floppy drive connectors (the white one in the photo) is too close to a couple of resistors, this could easily be damaged in assembly and would limit inspection and rework. The production PCB will be 5-7mm longer and the same width as the IDC box header, the two jumpers, one on either side will move into the extra space. I am learning how to use mechanical 3D design tools (Sketchup and 123D), as an electronic engineer, they have taken some learning. I do want to master one or both tools as a 3D printer is on my wishlist. Sometimes you can’t beat a real prototype though. The PCBs shown above need further testing before I release them for manufacture in batches of 100 of each design. The lessons learnt, minor in some cases, from these prototypes has been invaluable. Once the design release is complete I can get back to my other projects in earnest. Until the next post.